I predict this is just the first of many such announcements for this year. The San Diego Daily Transcript has announced their Best Products of 2005 and Google Earth was selected as the best software product. From the announcement: "A breathtaking product and one of the best free downloads ever...". Winter is starting to arrive in the northern hemisphere, so it's time to start thinking about the tropics! A couple of months ago, one of the more creative regulars at the Google Earth Community by the pseudonym of Tommy Afrika (or is that his real name?) 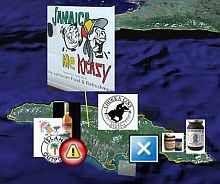 posted an interesting collection of placemarks for Jamaica . His placemarks are pretty entertaining. He used some interesting graphics for the icons, included altitude posts for some of them so they stick out, and they also have informative descriptions with photos. He obviously was in a fun mood when he created these. 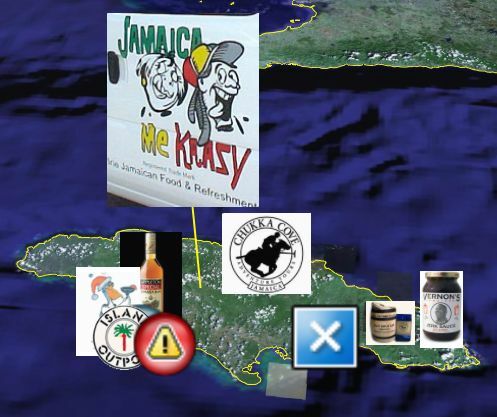 Tommy called his post at the forums "Jamaica Me Krazy", and you can see why. So, as winter starts making you feel cold, seek some warmer climates in Google Earth! Harris Corporation has announced their 15-meter global dataset has been selected by Microsoft for use with Virtual Earth. Harris Corp is well known in the visual simulation and training market for their databases, and the global dataset is reported to be very beautiful. It includes imagery which has been enhanced for accurate color representation. If Microsoft is truly going to release 15-meter resolution imagery for the entire Earth, it will be a great improvement for vast portions of their Virtual Earth. Google Earth's global data is reportedly already at 15-m resolution, although it seems some areas are lower than this - the majority is certainly better. 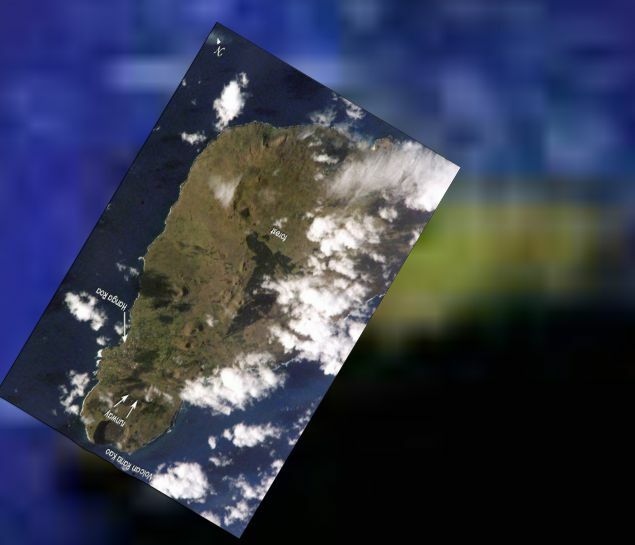 Many of the more interesting and more populated areas are down to even inches of resolution in the Google Earth data and they are adding to their coverage on a regular basis. Chances are Google will release more data possibly even before Microsoft releases theirs. 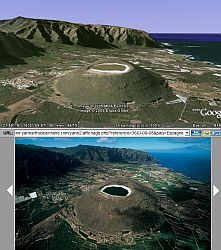 However, Microsoft really needs to create an application like Google Earth that enables their data to be mapped into 3D. 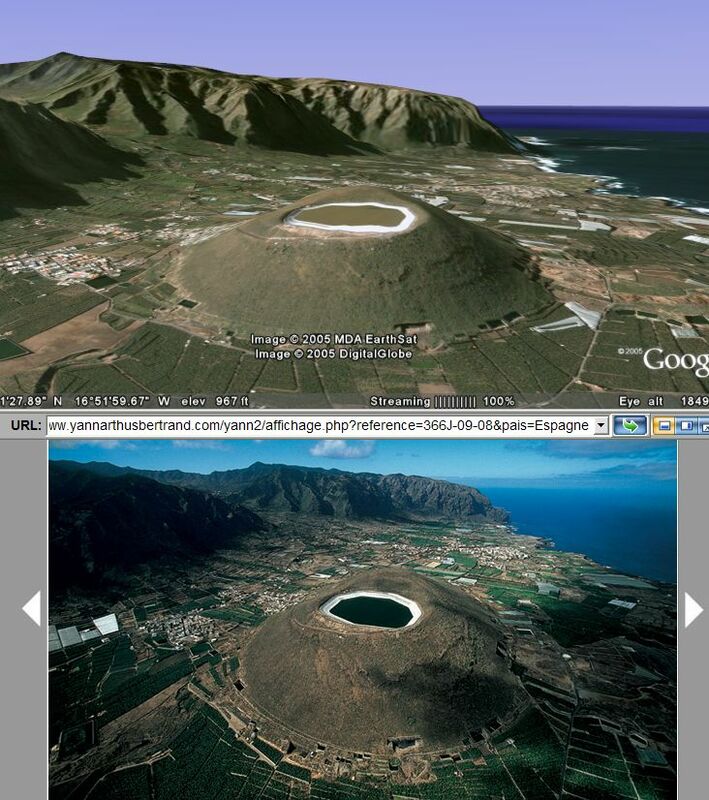 Without that Google Earth will continue to be vastly superior for truly visualizing the Earth. Unfortunately, a lot of people still seem to not realize you can pan and tilt your view in Google Earth and see the wonderful 3D landscapes. Using technology to follow the movements of birds, animals and fish is an interesting application of technology. It is fascinating to me to see the places other species will travel. Recently, someone from Russia who calls himself "Valery35" at the Google Earth Community, has published tracks of birds in Russia as they migrate so you can view them in Google Earth. Once you download the GE file above, you will need to open the "Birds" folder in your Temporary Places and turn on the tracks for the different birds. I found it particularly fascinating to watch the Stellar Sea Eagle as he migrated south along the east coast of Russia, stopping for a while at presumably the best hunting grounds along the way. 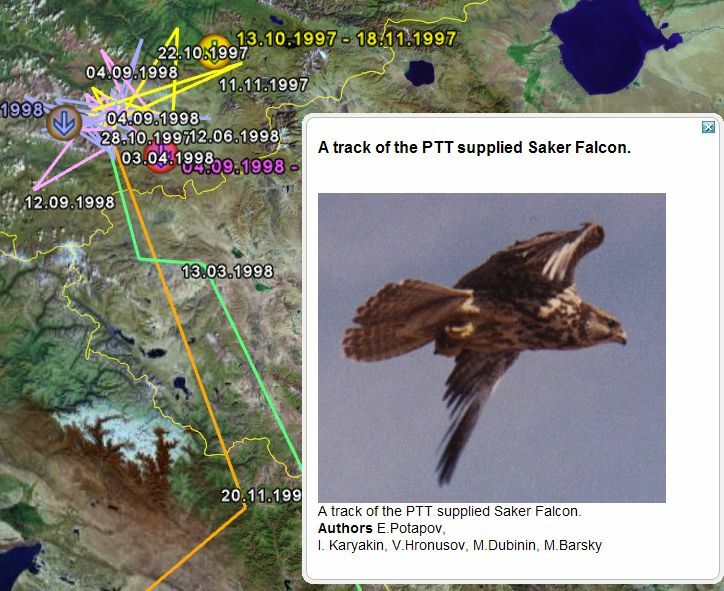 Some of the birds have a photograph and the datasources are documented in a placemark description. Good work Valery35! Cpacibo! The DC-3 was first built in 1935, and the first commercial airline, American Airlines, flew it in 1936. Just over 10,000 DC-3s were built, and over 1,000 of them are still flying today. They have been used for the military, commercial airlines, skydiving clubs, and pretty much every other imaginable flying use. They are beloved by many in the aviation world. 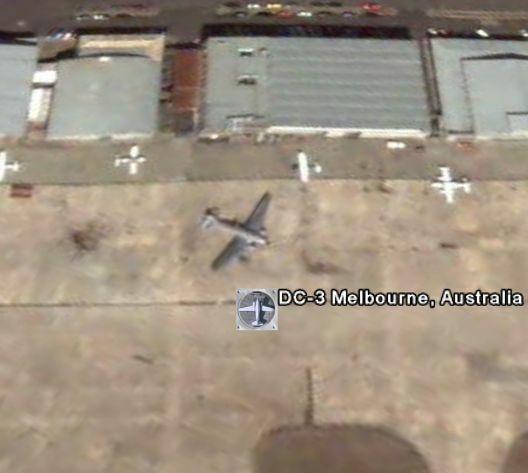 In the Google Earth Community, one of the DC-3s biggest fans is someone called "Hill". 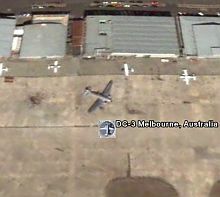 Hill has been collecting the locations of DC-3s , and documenting them with placemarks. With the help of many other people in his forum thread, they have found over 250 so far. I encourage you to look at his forum thread as he has some background information and links to DC-3 related web sites. One of the best links I looked at was the DC-3 Hangar. Once you download the GE File above, it is very interesting to double click on the placemarks and witness the location of these planes. Some are just hulks stored off the airport, sometimes with entire forests grown up around them. Others are still on the tarmac, obviously ready to fly. And, the locations are all over the world. The DC-3 is easy to recognize, so it can be fun to look for. This is an admirable collection. Good work Hill! The guys who did vlogmap.org, a Google Earth map showing videos around the world, have now done a web site for ski/snowboarding video blogs. 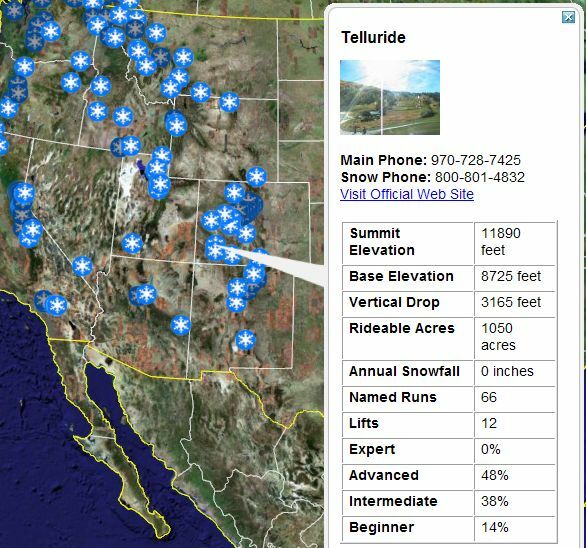 The web site is at ridertech.com, and includes maps of North American ski and snowboarding resorts and snow reports for viewing in GE. I'm not sure if they plan to do other countries as well. You can download the ski/snowboarding resorts , and they have included nice details about each resort including vertical drop, number of runs, number of lifts, etc. Just click on the resort's placemark and you'll see these details in the description. Also, a link to the web site for each resort is included. They also have included a network link for showing current snow weather reports which come from The Weather Channel. If you're thinking about skiing in the US, this web site is the best way to get yourself informed if you want to use Google Earth. And, they are responsive to suggestions for improvement. Now, hopefully someone will do the rest of the skiing world. My hat's off to the vlog guys! The new version can be downloaded in the usual location here. This is mostly a bug fixes and cosmetic fixes upgrade. Here's the curent release notes. The images come from NASA's excellent Earth From Space: Astronauts' Views of the Home Planet. It was interesting seeing many of these very remote islands, and reading some of the background neon provided. It was a challenge to get these images to align properly since some are taken at an angle other than directly above. Great work neon! The 3D representation of the world presented by Google Earth is pretty accurate. Recently, while documenting a backpacking trip I made in Arizona, I managed to save the views of several placemarks so they matched the photographs of views from the mountain. But, there's a big world out there and many other people have taken photographs. 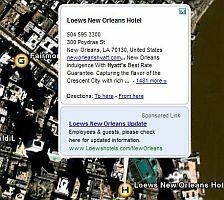 Recently, someone called 'Rednick' at the Google Earth Community posted a really interesting collection of placemarks and showing many views in Google Earth of photographs taken by a famous French photographer Arthus-Bertrand. The placemarks are the locations of about 130 photographs from a collection called, appropriately enough, "Earth From Above ". Once you have downloaded the collection of placemarks, open the folders in the Places pane called "Arthur Bertrand Tour" (CAUTION: don't turn on the contents of the entire folder as it will load all the images at once). In some cases, Rednick has included the actual photos as image overlays (make sure you double click on the placemark items to get the preset view). In other cases, he has a camera view where he has tried to accurately portray the same view as the photograph. You can view these photos by following the link in the placemark's description bubble, which will take you to the photographer's website. I found it was best to use GEs built-in browser (make sure you are not using "external browser" in the GE preferences). Then you can see the photo right next to the GE view. Both the overlays and the camera views are an excellent example of showing professional photos combined with GE. This is the best collection I've seen since the National Geographic collection was added. Here's Rednicks post at the GEC. Great work Rednick! The Transat Jacques Vabre 2005 is a sailing race involving two-person crews in 50 and 60 foot monohull and multihull racing yachts. 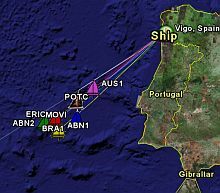 They started the race in Le Havre, France in early November and are already well on their way to the race finish in Salvador de Bahia. 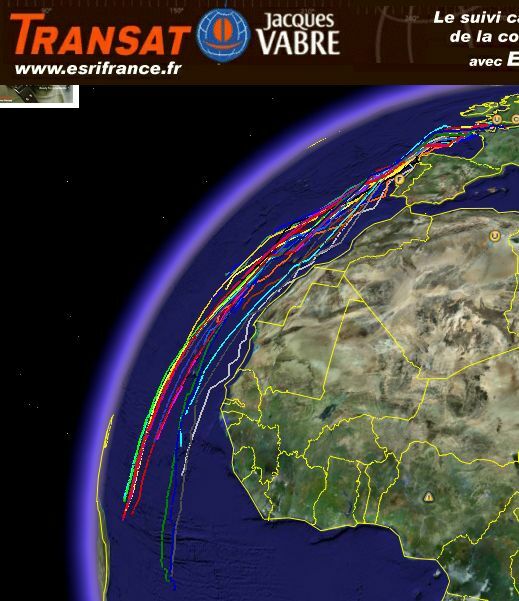 A Google Earth network link file is being provided by the GIS software company ESRI for following the Transat Jaque Vabre race. I'm sorry I didn't report on this one sooner, but the race is still quite exciting as there is no clear winner at the front. 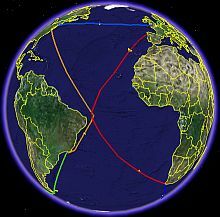 The complete race is nearly 4500 nautical miles in length. There are many more boats in this race compared to the Volvo Ocean Race I wrote about earlier. Near the front of the 60 foot monohull class is Sill et Veolia which is crewed by a famous pair of sailors: Roland Jordain and Ellen MacArthur. This should be an exciting finish. If you're wondering why some of the boats are headed more east, it's because the multihull boats (which sail faster) have to go around a the Ascension Islands as part of their course. This is intended to make the finish of the multihulls be closer in time to the monohulls for the spectators. 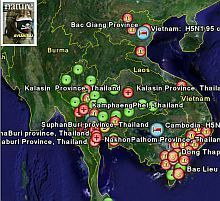 Nature Magazine's Senior Reporter Declan Butler has thoroughly researched the Avian Flu outbreak information and has published the confirmed cases of Avian Flu in a Google Earth file. 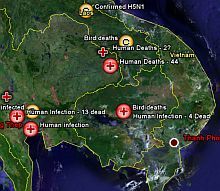 His avian outbreak map includes Human cases, and a time series of placemarks showing the progression of the flu over the last 18 months. 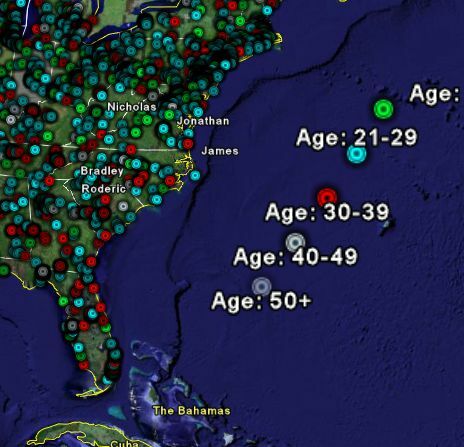 Here is Declan's web page describing his outbreak map and the background information on the data provided. 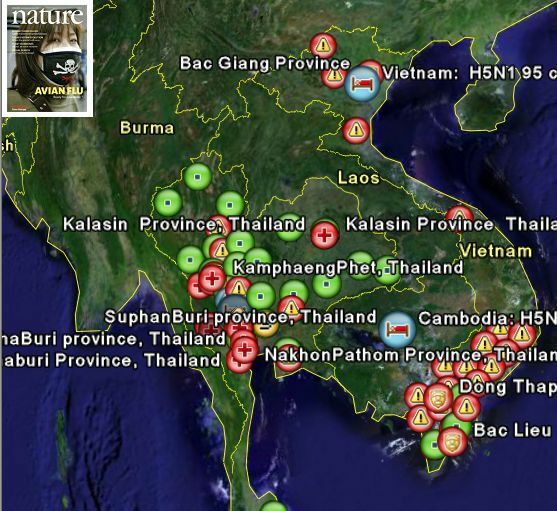 About two weeks ago I published a similar outbreak map. The older one is based on various reported cases, but not all confirmed, and is not as complete. I recommend Declan Butler's outbreak map for accuracy. GPSVisualizer.com has just started supporting Google Earth. Adam Schneider, the author of GPSVisualizer.com, is a Mac User so he hadn't tried supporting the format. 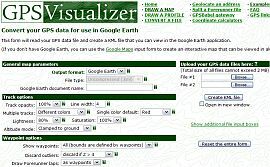 (Yet another vote for Google Earth to be ported to the Mac). But, this weekend, Adam went ahead and borrowed a Windows machine and did a nice implementation for GE. GPSVisualizer.com, for those who don't know, is a free Internet based set of forms for creating nice looking visualizations of your GPS tracks. It supports a variety of file formats, and many different customization options for your output. You can check out his Google Earth output form here. 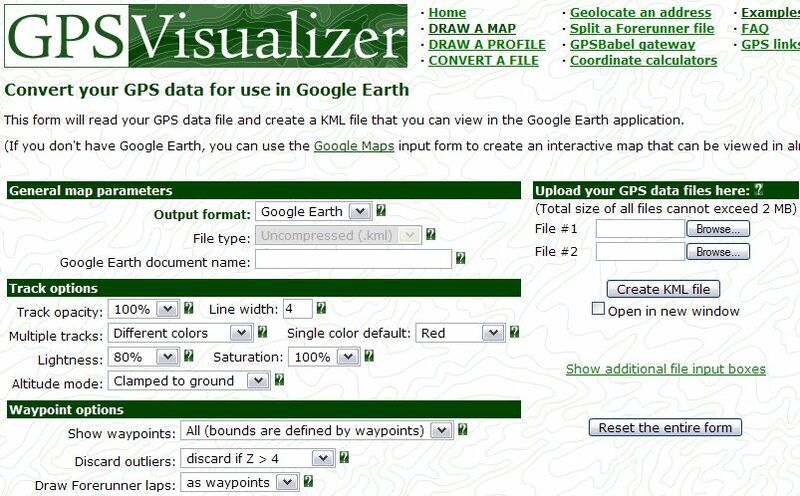 This form makes it easy to upload your GPS track and convert it into a nice looking Google Earth KML file. One thing I like is that he supports "Altitude Mode" so your airplane GPS tracks actually show the altitude above earth. In response to All Saints/Veterans Day, someone decided to collect and post a memorial of those who gave their lives so far in the Iraq conflict from the Americans and Coalition Forces. The author is called 'purblind_horus' at the Google Earth Community and he wanted this to be as non-political as possible. He wanted to remember those who gave their lives. He is also working to show the even larger number of innocent Iraqi's who have lost their lives. Once you download the war casualties file , you will see placemarks showing the locations of the homes of each soldier. The information came from the official icasualties.org web site, and includes the 2212 casualties through 27-October-2005. In addition to the home location of each casualty, if you click on the placemark it may contain a photo, a link to basic background information, and links to other information, if available, such as news stories. This is a valuable, and sobering, effort. It has been greatly appreciated by many at the GEC, and I hope some find it worthwhile here at the GEB as well. Here's the original post. Good work 'purblind_horus'! 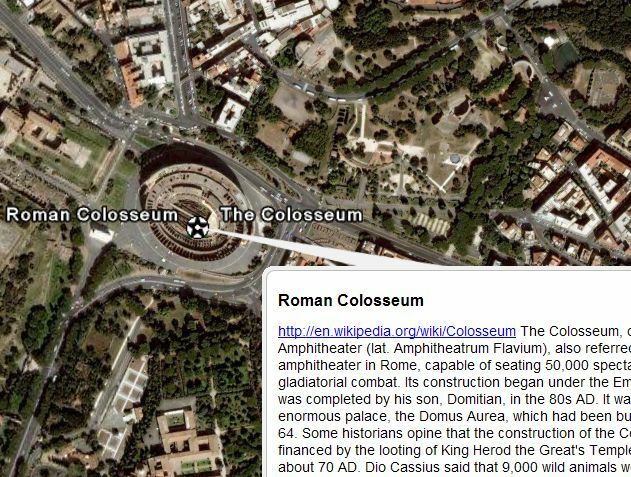 Some folks at the Google Earth Community have been putting together a tremendous collection of facts, placemarks, pictures, panorama shots, tracks, and other historical information. 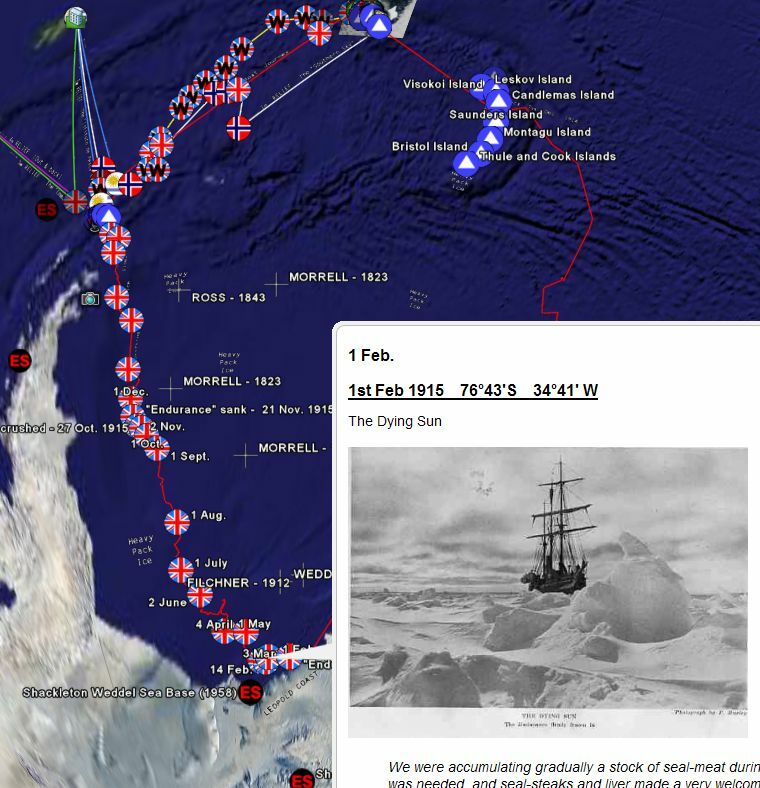 You can download the Shackleton "documentary" here (currently V3.0). The main poster is someone called 'pm77', who was also helped by Frank McVey and others - and you can read the post thread here. Once you download the GE file above, open the folder in your Temporary Places panel (on the left) called "South". The first placemark contains background information and links to web sites which can give you all the details. 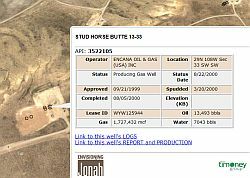 If you already know the story, you can immediately start selecting the various placemarks and see pictures and background information. There are informative links which give interesting background perspectives and historical details. As more people explore the capabilities of the the GE file format, I expect we will see more and even better historical "documentaries" like this within Google Earth. But, this will give you a taste of what's to come. The Volvo Ocean Race, a round-the-world sailboat race with 9 legs, started yesterday, 12 November. 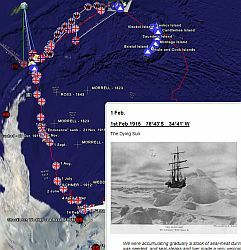 One of the folks at the Google Earth Community who calls himself 'lucifer666' (he can't really be a bad guy if he likes sailing), has posted an excellent network link for following the race. If you want to follow the race, download the Volvo Ocean Race network link (the network link means you are accessing a server which will automatically update positions). I also suggest you download the Global Cloud Map for basic weather info. After growing frustrated with inaccurately placemarks posted at the Google Earth Community (GEC) for locations in Singapore, a poster with the username 'chionh' started posting his own. 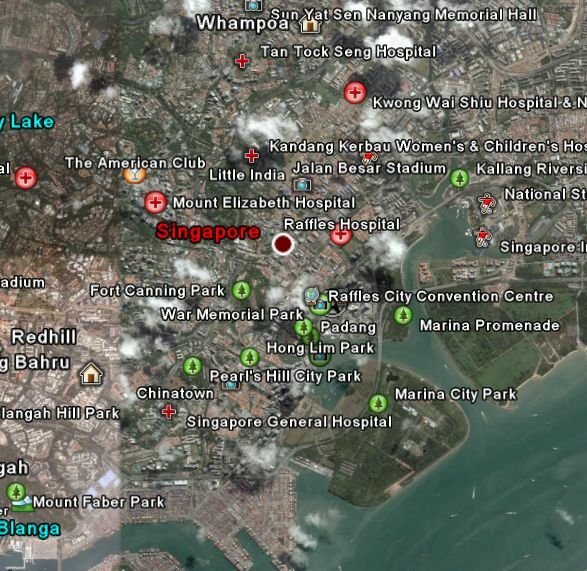 He has released numerous updates, and now has hundreds of placemarks and even tracks for major roads for Singapore. The latest version (at the time of this writing) is Version 4.6. If you download this link you will get the latest version which comes from his thread at the GEC. Once you download the above link you need to go to the Places pane (on the left) and open the Singapore folders. Turn on the categories you are interested in (if you turn them on all at once you will be inundated with too much information). The categories are well-organized and informative, although putting some photographs and more links in the descriptions would make it even nicer. 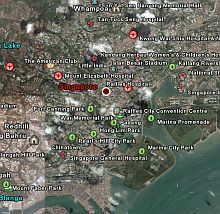 Singapore is fortunate in that a large portion of the area is in high resolution. This placemark effort is similar to that found in the story I wrote about for Thailand. The Thailand effort is massive - at the GEC it has been downloaded over 25,000 times and has thousands of placemarks. For countries which do not yet have layers loaded into the default Google Earth databases, this type of effort is an excellent substitute. I would suggest Google Earth consider getting permission to use these placemarks in the official layers instead of just letting them be in the Community layers. As an avid sailor myself, I've been looking forward to watching a long-distance yacht race with Google Earth. Someone called 'jachim90' at the Google Earth Community posted a set of placemarks showing the start and end points of the race. I thought it would be a lot more useful to show the lines connecting those points, so I used his placemarks and created this file , which shows the approximate route of the entire Volvo Ocean Race with a different color for each leg. Someone called "lucifer666" at the GEC contacted me about the new Volvo Race posts with his plans to follow the race closely. He was one of the same guys who did the Tour de France routes. 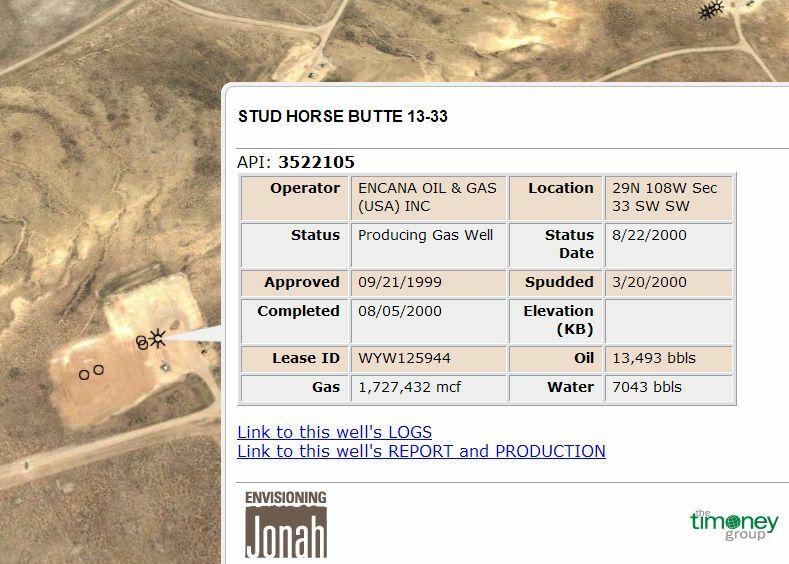 This is an excellent example of combining access to web-based information with your map. 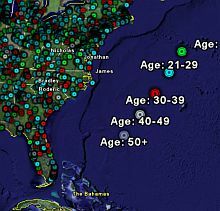 'zmarties' also has a web page about this and has a web-page version of his country data which allows you to view the location of the country in any of several map programs (Google Maps, Yahoo Maps, etc.). Great work zmarties! In my opinion, documenting a long distance travel log is one of the most interesting applications of Google Earth. 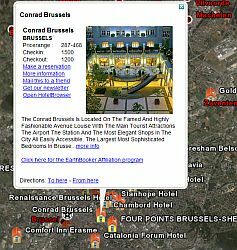 Especially if you combine the mapping capabilities with a web site which tells the story and has photographs. 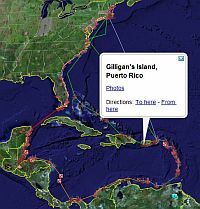 Recently Geoff Shultz, who sails his boat BlueJacket in and around the Caribbean, put together an excellent Google Earth file documenting his anchorages and passages. If you click on his anchorage icons you see a short description for that anchorage, and usually links to a full report and/or photos. He announced the availability of his log in this post. Geoff also organized his anchorages nicely by country. 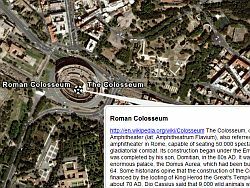 Maps are wonderful things, but maps combined with Google Earth are even better. One of the Google Earth team members, known as 'ink_polaroid' in the Google Earth Community, a few months ago posted a historical map of the Lewis and Clark Expedition . 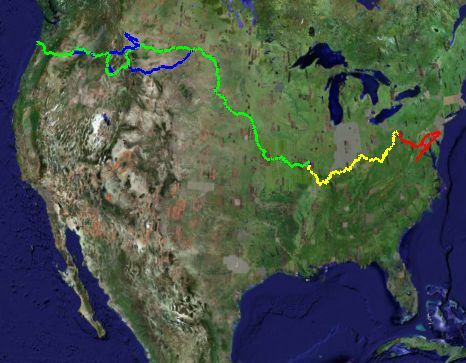 The GE file includes colorized tracks of the route taken during the expedition, and placemarks with links to a sample of diary entries from the expedition members from the Discovering Lewis and Clark website. Make sure you open the Lewis and Clark Expedition Places folders and see some of the other features. He has a map showing the extent of the Louisiana Purchase (which is what initiated the L&C Expedition), and placemarks to other sites during the trip. You can zoom in and see the sites up close, and also turn on the "Roads" layer to make comparisons to their trip. Don't forget to "Tilt" the view and see the mountainous terrain they travelled when they got out west. The power of combining the 3D views of GE, the satellite and aerial photography of the terrain, the tracks and placemarks, with the links to the web make this map so much more informative than any paper map. The new beta version of Google Earth V3.0.0739 released over the weekend (see my story here) has an interesting new feature. In the PLUS version of GE there's an option in the Preferences window which says "Disable onscreen advertising". The interesting thing is this option apparently doesn't exist in the free version of Google Earth. So, apparently you can expect to see some form of onscreen advertising in GE soon. But, to turn them off you will need to have a subscription of Google Earth Plus or Pro. It will be interesting to see how this is implemented and what the reaction will be from the general GE users. So far, no one has reported seeing ads appear (that I can find anyway). 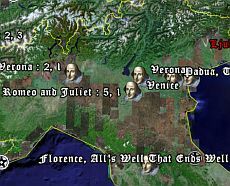 Now you can look at the places quoted in Shakespeare (85 placemarks). Someone named "H21" from France posted the placemarks at the Google Earth Community and it has been a very popular post. The author must be a literature professor as he purposely left off a few places and challenged people to find the missing quoted places. 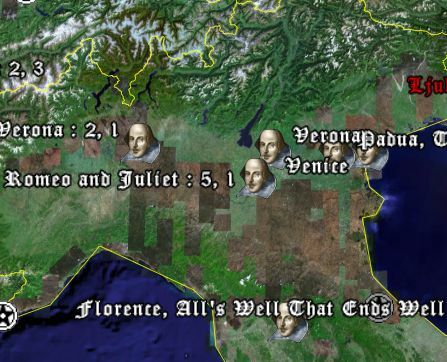 One of the Google Earth team members added a custom placemark which has a picture of Shakespeare. I predict many other literature maps will be ported over to Google Earth as well. This is an excellent application of mapping technology. A few weeks ago I wrote about a similar application where the locations of "The Lord of the Rings" movie scenes were shot. This version seems largely focused on improvements to the Google Earth Community Layer to allow more control over the number of placemarks viewed at once. Improved description bubbles - a new cleaner look. Seems faster when images are loaded as well. When the GEC Layer is turned on it uses a level of detail trick where only a few of the placemarks are shown until you get closer more appear, then even closer you see dense patches of placemarks. Apparently at a higher (above ground) level the fewer placemarks you see are ones which have been reviewed for quality. Then, when you zoom in further you get more placemarks. Interesting! An additional layer (near the bottom of the list) called "Google Earth Community (unranked) contains the bulk of the posted placemarks which have yet to be "approved" as good quality posts. They have fixed a bug with description bubbles when large images were loaded (they were clipped horizontally). The layer which was called "User Submitted Layers" is now "Community Showcase", but no new data - yet. La primera vez que escuché que alguien utilizaba los Mapas Google primero y Google Earth luego, para mostrar lugares donde se habían visto Ovnis, pensé que era algo tonto. Pero luego de ver el archivo de Google Earth , que particiona los avistajes de acuerdo al año en que se produjeron me dí cuenta de que es otra perspectiva. Nota: hay datos sólo para Estados Unidos (donde parece que más Ovnis aparecen). Años atrás trabajé en un Planetario donde dedicábamos un espectáculo a la explicación de diversos fenómenos naturales que muchas veces son interpretados como avistajes de Ovnis (y que para el público no eran conocidos). Por ejemplo: globos meteorológicos, helicópteros, meteoritos, satélites, etc. Luego de cada show el público podía contarnos sobre sus experiencias con Ovnis. Aparentemente, compartir esta información devino en más reportes sobre ovnis. Me pregunto si algún otro país tiene la cantidad de reportes de Ovnis - o al menos se acerca a esa cantidad - que los Estados Unidos. Los datos de estos mapas están basados en una base de datos del Centro Nacional de Reportes de Ovnis. Los Mapas de Ovnis de Mapas Google y el archivo para Google Earth fueron creados por una compañía de Canadá llamada Poly9. A propósito, estos mapas estan técnicamente muy bien hechos. ¡Buen trabajo Poly9! 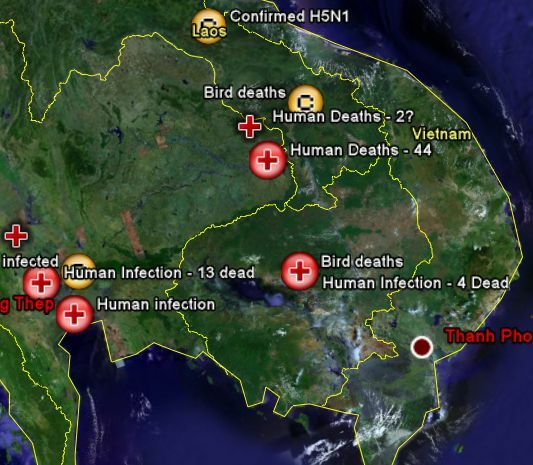 Someone called "purplelinny" at the Google Earth Community has been collecting information on the spread of Avian Flu around the world. She cites her references in the thread and has been in contact with a journalist at Nature who has been researching this as well. You can download the Google Earth file and you will see the placemarks with unique icons indicating 'confirmed', 'unconfirmed', or human verses animal or bird cases. If you look in the Places window and open her folder (called H5N1 after the name of the flu strain), you will see it is organized according to the different types and other useful infromation about the flu. Check out the Avian Flu thread where purplelinny posts updates to the GE file and information about the flu outbreak. If you like this work, you might want to drop a note saying so. Great work purplelinny! On 22 October I wrote about Geocaching.com supporting Google Earth as a powerful way to search Geocaches. At the time I had no official announcement from the company. Here's a link to the announcement, which provides some additional details on their Google Earth suport. The most interesting thing about this announcement is this: "...the coordinates used in Google Earth are only an approximation and can be up to 100 ft from the actual location. Do not use the coordinates in Google Earth for cache hunting" Apparently, Google Earth is so accurate in showing cache locations they felt it would take away some of the fun if the placemark showed the real coordinates. If you select "View Cache Details" from the placemark and then "edit" the placemark, select "advanced", select "Location" and compare the coordinates they will be different. Now, given that GPS's are already off by anywhere from 5-75 feet, the actual error in location may be even bigger. 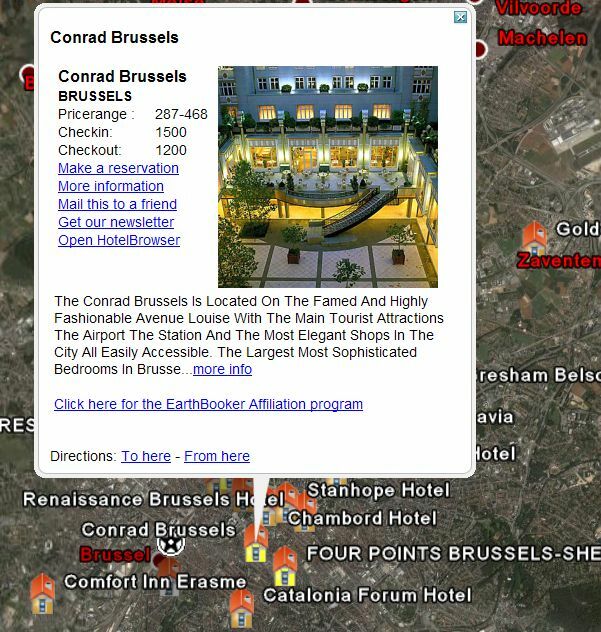 You could just enter the real coordinates from the web page if you don't like this feature. But, its interesting they chose this approach. Or, could it be that Geocaching.com was concerned someone would start saving the Google Earth network link placemarks and create their own database of the geocache coordinates? The announcement also contained two other features: Geocaching .com is offering GE files for Bookmark lists and for showing where a Travel Bug has travelled (read the Geocaching.com site if you don't know what these are). I'm glad Geocaching.com is taking advantage of GE to provide their customers with useful visualization tools. Geocaching and Google Earth are ideally suited for one another.